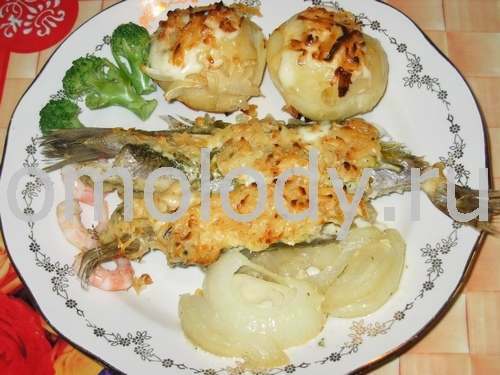 Haddock baked in the oven, fish recipes. Haddock baked in the oven. Wash fish, sprinkle with salt, dried ground greenery, pepper and coriander. Roll the fish through flour. Deep fry until golden. Scatter with Mayonnaise, grated cheese and bake in the oven for 10 - 15 minutes. Serve with baked potatoes and onions slices.